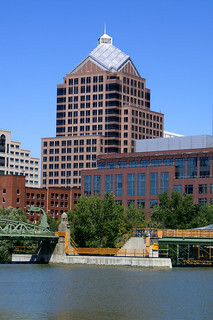 Bausch & Lomb is today a manufacturer of contact lenses and eyecare products. 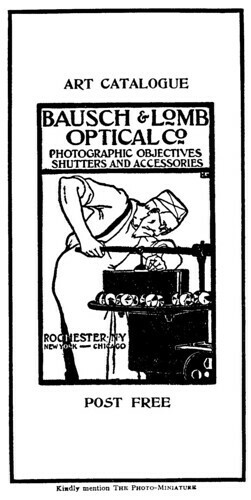 It began in 1853 as a little optical shop in Rochester, New York, founded by the German immigrants John Jacob Bausch (from Württemberg) and Henry Lomb (from Hesse). First they produced pince-nez spectacles. 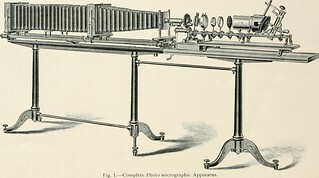 When Bausch's son Edward finished his engineering studies in 1875 he convinced the father to start making microscopes. 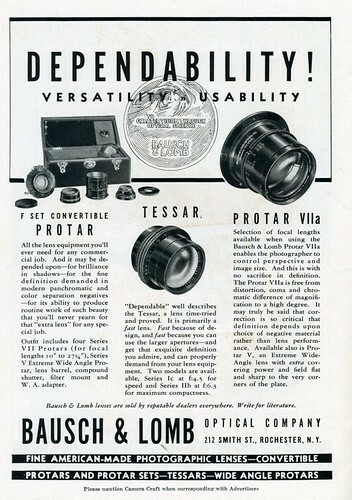 In 1883 the company started making camera lenses, mainly lens types of Carl Zeiss. 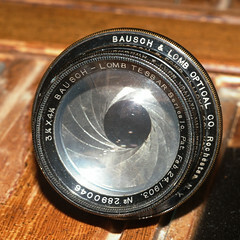 In 1888 Bausch & Lomb produced the lenses for the Kodak No. 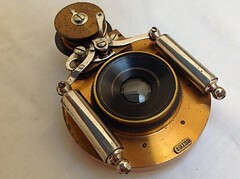 1, the pioneering roll film camera by George Eastman and Frank A. Brownell. Bausch & Lomb was also a well respected manufacturer of leaf shutters. Bausch & Lomb's "Unicum" shutter was one of the best shutters of its time. Initially the company co-operated extensivey with German optics and glass makers, but from 1913 onwards the company started making its own optical glass. A lot of optical instruments and other optical goods were already in the company's portfolio. Still camera lenses were made until the 1930s, especially for Kodak. 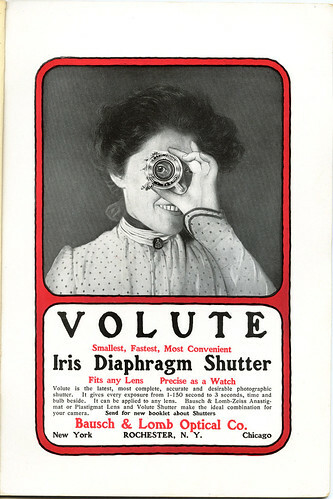 Later photo-optical products became a smaller part of the company's focus, leaving just movie projector lenses and movie camera lenses. For example, the special lenses for the widescreen format "Cinemascope" film were made by B&L. A late highlight of the company's still-camera optics were the lenses for the cameras of the "Surveyor" lunar probes in 1965. A correlation of lens serial numbers with production dates can be found here.